After a career that spanned a half-century, in which he became the most famous musician from Burkina Faso and a legend of African popular music, Amadou Balaké died in 2014 at the age of 70. This album contains his final recordings. Born Amadou Traoré in Burkina Faso when it was still the French West African colony called Upper Volta, he was given the name Balaké by Guinean fans who especially liked the way he sang the Mande classic of that title. By that time (the late 1960s) he had been performing as an itinerant singer, guitarist, and percussionist all around West Africa. 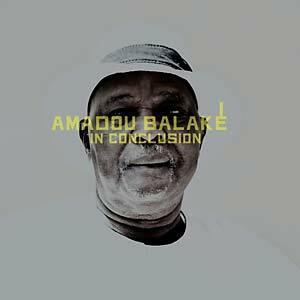 On returning to his homeland in 1970, Amadou Balaké sang with a succession of groups in the capital, Ouagadougou. Building on widely popular Afro-Cuban and funk styles as well as the Mande repertoire modernized by such bands as Guinea's Bembeya Jazz and Mali's Rail Band, he incorporated local warba dance rhythms into his music and sang primarily in the Mossi language of Burkina Faso, establishing a distinct Burkinabé sound. It was a sound that traveled well as Balaké resumed his roving. He recorded his first album in Accra, Ghana, in 1976; his second in Lagos, Nigeria; the next two in Abidjan, Ivory Coast; and then his classic salsa album, Amadou Balaké à New York, in that city, with some of its top Latin sidemen, in 1979. 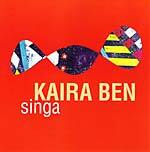 He was based in Paris for most of the '80s but eventually settled in Ouagadougou. In 2000, Ibrahima Sylla, the preeminent African record producer, invited Balaké to join the international salsa supergroup Africando -- a match made in Spanish Harlem, one might say, considering that Balaké preceded Africando in working with Latin musicians in New York. With Africando Balaké recorded four albums and toured far and wide. He was still giving weekly shows in Ouagadougou when the French music journalist Florent Mazzoleni met him there in 2013 and produced the recordings that would prove to be the old master's last testament. Accompanied by young local musicians, he revisited some of his favorite songs, including his namesake, "Balaké," which he had never previously recorded. Captured mostly in one take with few overdubs, these tracks present a performer seasoned by decades of experience and in full command of his art.